Video and PowerPoint presentations are now available online here. On Saturday, 10/17/2015, MCCF coordinated an encouraging regional conference for clinical professionals and students at Brighton Presbyterian Church in Rochester. 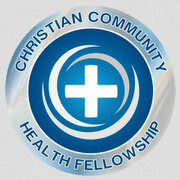 Our co-sponsors included the Christian Community Health Fellowship (CCHF), Christian Medical and Dental Association (CMDA), MedSend, and several Christian clinical ministries in the region. In addition to the full program (outlined at the link below), there were a number of informational ministry tables as well as opportunities for fellowship and networking. Spouses, significant others, friends, colleagues, and pastoral associates were invited to come, and all were welcome to share in learning how to share Christian witness more effectively in the times in which we live. Review our Program online or download a Flyer or a Brochure. Click here to RSVP. Conference fees were $65 per person for practicing clinicians and $30 per student with scholarships available on request, meals and handout materials included. Click here for information and a map about how to get to our conference location. You may recognize the names of some of our speakers and workshop leaders. Click here to read more about them or here for links to some of their presentations. Click here for some thoughts on postmodernism by two men of faith. And this link is for those who would like to delve deeper into our theme.